This treatment plan starts a few months before the IVF/IUI cycle (greater than 4 months). During this period we assist our patients to reach their best health possible in order to create the best possible situation for a successful cycle. One of our operating theories is that one must be healthful to get pregnant and during this preparation period, our team will work with you to improve sleep, reduce stress, improve digestion and improve blood flow to the uterus and ovaries, and increase blood production in the body. During preconception preparation, our goal is to improve your menstrual cycle so that it is regular (28-30 days) and reduce all and any existing menstrual symptoms like pms, painful cramping, spotting, and menstrual headaches, as these are not considered normal. The amount of time it takes to help patients to prepare for a successful IVF or IUI cycle varies. Since follicles undergo a 90-120 day follicular development period before they are released for fertilization we at AHS commonly advise a minimum of four (120 days) to six months (180 days) of treatment preceding the transfer to enhance the quality of the Follicles. In many of the cases that we see at AHS there are more complex menstrual irregularities like irregular cycles, painful period, absence of ovulation, or other menstrual problems, we very often suggest longer course of treatment leading up to a patient’s scheduled IUI or IVF. When patients come to us who are planning an IUI or IVF within four months they begin Functional treatments including acupuncture, the goal of the treatment takes on a different set of guiding principles. 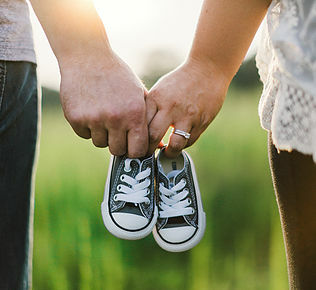 The purpose of these treatments is to focus on improving health as quickly as possible without repairing all of the health problems that may be impeding the underlying fertility issues. Decrease cortisol and reduce stress levels to improve LH and progesterone production. This treatment plan starts greater than 4 months prior to the IUI/IVF. During this period we assist our patients to reach their best health possible in order to create the best possible conditions for a successful cycle and the best “terrain” for pregnancy to occur. One of our operating models is that “one must be healthful first to become pregnant”. During this preparation time our healthcare team will work with you to improve your sleep, reduce stress, improve your digestion, and improve blood flow to the uterus and ovaries. During preconception preparation, our goal is to improve your menstrual cycle so that it is regular (28-30 days) and reduce all and any existing symptoms such as: PMS; painful cramping; spotting; and menstrual headaches, as these are not considered normal in Functional/Traditional Chinese Medicine. Ancient Chinese medical textbooks suggest that a woman should not know she is about to have her cycle (as she has no symptoms at all) until she actually starts bleeding. The amount of time it takes to help patients to prepare for a successful IVF or IUI cycle varies. On average your follicles undergo a 90-120 day development period before they are released for fertilization. We very often advise a minimum of 4-6 months of treatment preceding the transfer to enhance the quality of the follicles. In many of our patients that we see at AHS, there are more complex fertility problems. If this is the situation, we find that a longer course of treatment leading up to a patient’s scheduled IUI or IVF is necessary and helpful. The British Medical Journal recently published an analysis that compiled all of the current research data on the effects of acupuncture and in vitro fertility. Of the clinical trials investigated, the team of researchers found that almost all trials reported positive findings.